SS: This is Sandra Schermerhorn, It is August 12, 2006, and I am in San Diego, California, USA . I am talking with Russ Hanke Sa Bom Nim. Sir, could you tell me what town and state you currently live in and your Dan number? RH: I live in a suburb of Detroit, a city called Dearbourn Heights, which is about 12 miles away from downtown Detroit. My Dan number is 4137. SS: Who is your current instructor? RH: Kwan Jang Nim H. C. Hwang. SS: Do you have a studio right now? SS: What is the name of that, sir? 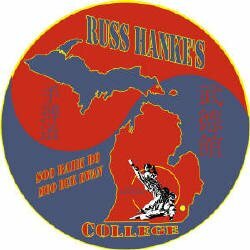 RH: Russ Hanke Soo Bahk Do College. RH: That is in Wyandotte, Michigan. SS: Could you tell me just a little bit about yourself? For example, employment you’ve had, education, hobbies, just a little profile. RH: Education, GED education. Hobbies, I attempted golf, but it has gotten the best of me. I will never be a golfer. I have been involved in many different things. Mostly martial oriented things: Archery, shooting guns, spear chucking, knife throwing, ax throwing. I have dabbled in just about every sport. I have never gotten proficient in anything. Work, throughout the years I have been a “jack of all trades”. My first employment job was a pinsetter at a bowling alley. My second job was a file clerk, before they had computers; it was called Peoples Outfitting Company. When people came in and paid the money they didn’t have computers and someone would have to run and get the file and bring that back. I worked in the steel mills for 4 years as a laborer and then an electrician’s apprentice, then I got into selling life insurance, vacuum cleaners, Kirby vacuum cleaners, baby pictures, and one thing or another off and on and wore that out. I got married and worked at the Ford Motor Company on the assembly line, for a while and then switched to selling life insurance and then switched back to working at the Michigan Truck Camp, where I worked again on the assembly lines. Utility Inspector was my title, but none of these jobs lasted long. I would only work to get enough money to do my training, if I had enough money or my work had any kind of a hindrance to my training, that was it. Most of the work that I had done and I still do is security work, so I still do that off and on to help pay the bills. SS: Sir, could you tell me what motivated you to start training in martial arts? RH: Yes. 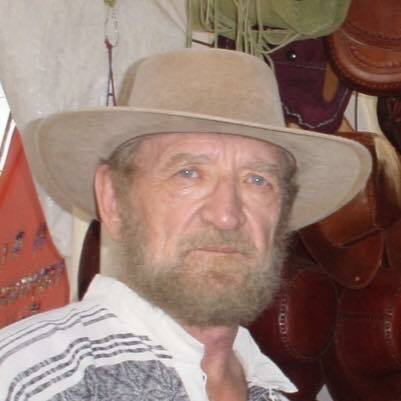 All my life, even before martial arts was even known, this is from 1945-46, I was born in 1940, so since I can remember I was always with the cowboys and the guns and that kind of stuff, and I was always small for my age, and people I ran with were always big, so I always had a reputation that back in “them days” it was who could beat up who, that was your status. If my friends wanted to establish themselves as “the man” or if they had a fight with their girlfriend and they were just frustrated, and they wanted to take it out on somebody, they knew they could come to me, because I would “fight the fight” and once they pushed me, I would immediately start fighting. I couldn’t hurt anybody. I was like a punching bag, and I was like that up until I went into the army. I was in the army when I was 18 and they made me a tank driver, that was interesting. 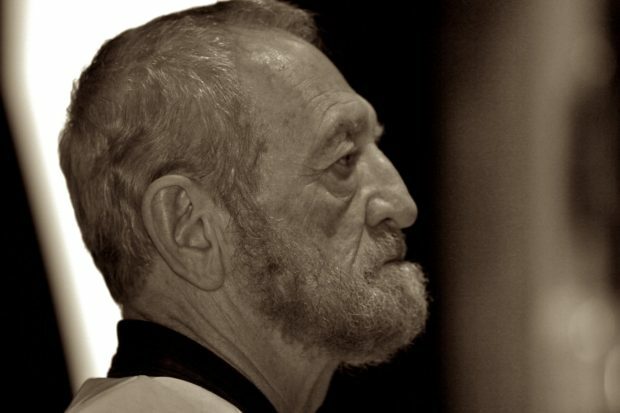 When I was out of the army in 1960, I was 20 years old and the only thing I knew about martial arts back then, was in the man’s magazines or there might be some article about judo. Karate was unknown. I decided that I was going to learn judo, because the little guy could always beat the big guy and I was going to take care of myself. I went to a local YMCA to learn judo. The class was taught in the basement. So, I went in to watch a class and sign up, I thought. I was watching the class, the judo instructor’s name was Jim Whomsley, he was about my size, a little heftier, and he was called a 2nd Dan, 2nd degree black belt, which I had not known what a black belt was, much less a 2nd Dan. I was observing his class and in this particular class, at the time I got there, he was working with a brand new beginner. This guy had lesson “zero”. He was a white belt and about 6 foot, a little bit less, and weighed about 300 pounds. He was as wide and round and he was tall and had an “attitude”. 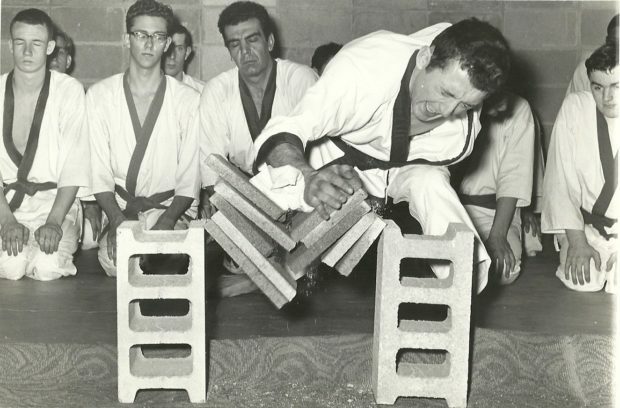 Mr. Jim Whomsley, the judo expert, he was really doing everything in his power to throw the big guy down, and he couldn’t do it, he could not move him. It broke my heart, I’m looking, I’m thinking I don’t know what a black belt is, but this is the expert and this is that Japanese stuff that “the little guy can take the big guy” and here is this expert and he can’t even move a blob, so I was disappointed. As I said, the room was downstairs, so I went upstairs to leave, I heard a bunch of yelling, being very curious, I looked up and I wondered what was going on in that room, and it said Tang Soo Do, and I didn’t know what Tang Soo Do was either. So being a curious guy, I walked down, and it was in a room like this that they were training in, and I seen my instructor who is smaller then me and skinner then me, his name was Mr. Dale Drulliard. 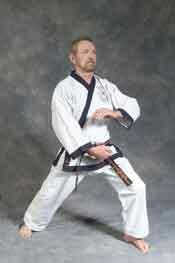 Mr. Dale Drulliard was the first non-Korean ever to be promoted to black belt in the Moo Duk Kwan. He studied in Korea under Kwan Jang Nim, and he is the very first non-oriental to ever be promoted and his Dan number is 757. So, I just walked in again, I don’t believe in coincidences, they happened to be free-sparring and he was on the floor and he was fighting two guys at one time. One of the guys he was fighting, his name was Jim Young, he had a green belt on, I didn’t know what a green belt was, but he was about 15 or 16 at the time and small framed, typical 15 or 16 year old. The other gentlemen was another green belt, his name was Rick Abrahams, and was bigger then I was and maybe had about 30 or 40 pounds and he had an attitude, it was very obvious he had an attitude. I am watching this little skinny guy, smaller then me and Mr. Drulliard, what he would do is when the little guy came at him, he would just do some punches and kicks and very nice and the big guy came in and tried to overpower him, he would jump up, very quietly put the side of his foot on the guy’s hip and straighten out his leg and throw him into the wall. Then when he was picking himself up off the floor, the other guy would be attacking, and he would be just like a father treating his little son, and then the big guy would come in, he would jump up, put his foot on the side, straighten out his leg and throw him into the wall. 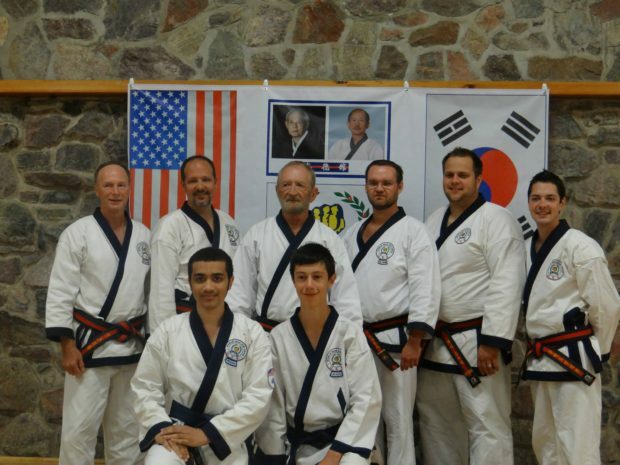 I don’t know what Tang Soo Do is I don’t know what anything is, but this is what I’m going to do, and that is how I got started, and I’ve never looked back. SS: Before you started training, was there any family tradition of training in martial arts? RH: Martial Arts was unknown back then in America. Like I said earlier, you might see them in a man’s magazine, or see a small article about judo, but other than that, Martial Arts, at least in my era, was unknown, other than boxing or wrestling. SS: What was your early training like? What was the class like? RH: Again, I was very fortunate, everyone has their own personal qualities and nature, Mr. Drulliard, he was a true martial artist, he was only interested in techniques, and perfecting perfect technique. It wasn’t about fighting; it wasn’t about anything, except perfection of form and of the basic motion. We had classes two days a week at the YMCA. In the YMCA in the basement, they had a room and they used to call it the “mirror room”, Mr. Drulliard was only a 2nd or 3rd Dan at that time, and I knew he would be in the room in front the mirrors practicing basic motions and basic kicks, so I would always get to class a half an hour or forty-five minutes early, because if I would go in the room, I would stand side by side and he was just meticulous about technique, almost like a classical ballerina. He was that meticulous about perfecting technique. In the beginning of the class, a typical class, we would do a warm up then after that you would stand by the wall and you did so many front stretch kicks, so many side kicks, so many this, so many that, and you would always use the wall to support you, it had no bars. We would then have a regular class. After, when the class was over, I would immediately go back into the mirror room, when everybody else was going home, and whatever he taught me; I would do in that mirror room by myself, trying to perfect my technique, like he did. 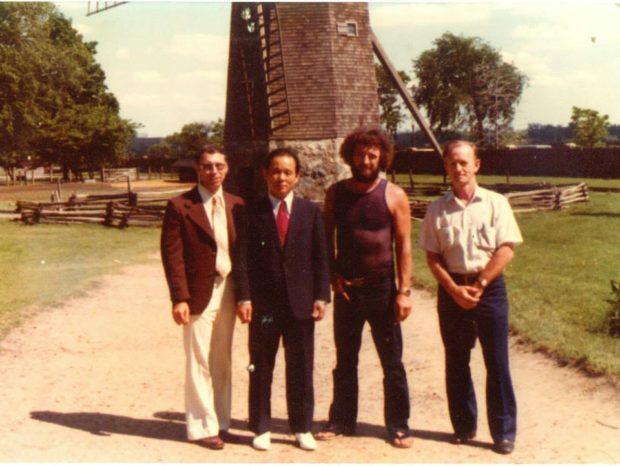 At ,1974 Greenfield Village Michigan Left to Right Dale Druillard 2nd Dan, KJN Hwang Kee, Russ Hanke 1st Dan, Eli Wynn. SS: How long did the class last? RH: The classes were only about one and a half hours. So I went almost an hour early to be in the mirror room and after class go back to the room until they closed. SS: That was twice a week? SS: Who was in the class? Was it men, women? RH: Back then, women weren’t in martial arts, women weren’t even considered to be in martial arts. It was just all men, the average age I would say (they never taught kids back then), it would be like 15 to 35, was the average age, all male. SS: Did they wear a Do Bohk to train in? RH: The Do Bohk was exactly the way we wear it. SS: Anything else about the school experience that you can remember? How about a fond memory of a training experience you had? RH: At that time, nothing really stands out. The one thing again about Mr. Drulliard was he was very regimented. You could almost set your clock when you were done with your basic motions, and you were done after the basic motions, the kicking, after the kicking the forms, after the forms we had 3 step fighting, we did not have 1 step fighting back then. It was originally 3 steps. Your challenger would come in and he would punch once, stepping forward and you would step back and he would punch twice and there would be another step back, and on the 3rd punch we would side step and block and counter. Originally it was 3 steps. 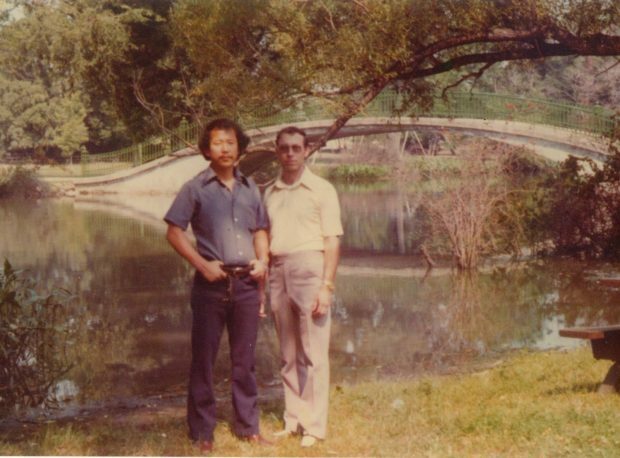 You didn’t even know about 1 steps until after 1974, when the current Kwan Jang Nim came to the states. SS: Do you remember any of your early training partners? Not necessarily back then, but early training partners? RH: Other than the two I mentioned, there was two other ones, but again they were only green belts and there was no affiliation, you came, you trained, you left. None of them were meaningful. SS: The two that you mentioned, did you know what happened to them? RH: The one that did stay around was Jim Young, and that was the young kid I observed when he was fighting. He continued on, we made our Dans together and then when he became of age, he went to Ann Arbor, which is about 20 miles away from us, a college. Of course, after his four years of college, he started teaching at the college and picking up a few extra bucks for about a year and then something happened, at that time that completely discouraged him from martial arts. It turned out that he graduated from college, he became a lawyer, he moved up north, he became a judge for a little city, and every time he comes to town, we still have communications. In 1962 Dale Drulliard sponsored over from Korea a man named Sang Kyu Shim.. At that time he was sponsored over by Mr. Drulliard on a 3-month visitors visa. Mr. Drulliard has always been very naive as far as politics and he had no knowledge of the visa regulations. He thought if he sponsored over this Korean on a 3-month visa, after that 3 months they go back. The reality was, once a Korean came over to the United States, it was forever. So when he had to go back, he lost face in Korea. All the Koreans thought that he was in the United States and he was very embarrassed about the whole thing. So right after that, he was being drafted into the ROK army, (Sang Kyu Shim). Around 1962-63 Mr. Drulliard took ill, he had a nervous breakdown, which was caused a lot by this Master Sang Kyu Shim, because he kept writing him, and kept pressuring him, you got to bring me back, you got to bring me back, and he even had him talked into flying to Korea to bring him back and there was a layover in Japan, and he had a nervous breakdown and had to come back. So, Sang Kyu Shim started zeroing in on me, because when Mr. Drulliard had the nervous breakdown, none of the other students wanted to teach, there were four senior to me but none of them wanted to teach. We had a membership of over 100 students at the YMCA, and none of them would take the responsibility, so that is how I became an instructor. Saying that, Sang Kyu Shim started writing me that I should bring him back. So I wrote to the late Kwan Jang Nim that I wanted to sponsor Master Shim back to the United States. I got a response back that the late Kwan Jang Nim really preferred to send someone else. I was married at the time, I had my wife and 1 child, and he was going to be living in my home. So I wrote back to the Kwan Jang Nim Hwang Kee that, “I know Master Shim and would prefer him over a complete stranger.” The late Grandmaster went along with my request. I was being manipulated by Master Shim. Master Shin was given the position of the Ambasssador, as the very first Korean that was designated by the Late Grand Master to come to the United States. When he came to the United States, there were about 115 students, and he actually lived with me at my home for 9 months. The man had a very devious character, which I did not know, so while he was living there, and I had him on a visitor’s visa, he enrolled in the Wayne State University so that he could change his visa to a student visa and not be under my control. Once he got a student visa, then he started showing his true colors, which was to come here and start to build his own empire, which he did, Tae Kwon Do. 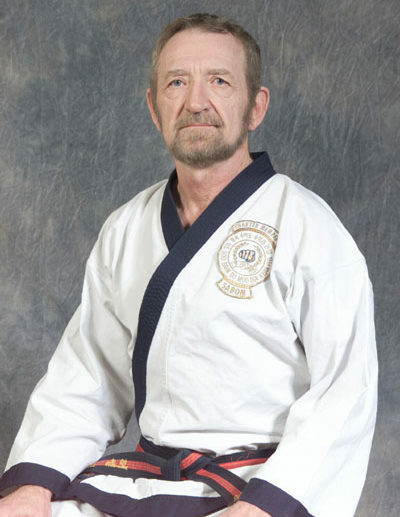 He died, he was killed in an accident, 15 years or so ago, but while he was here, he was what we would call the spiritual guru of Tae Kwon Do and Tae Kwon Do Times. 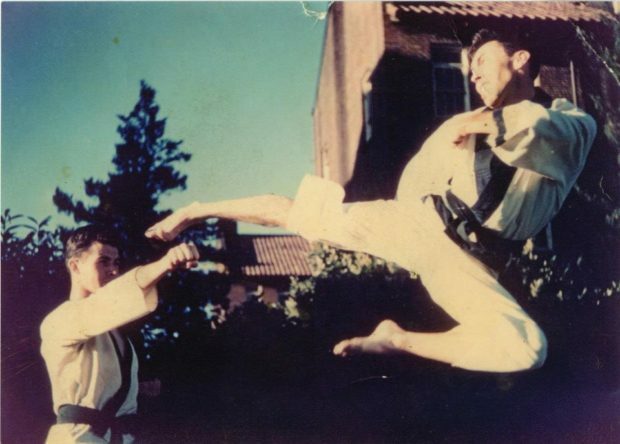 In the early 1970’s, 1980’s or maybe later, in any of the Tae Kwon Do magazines, there was always one or two pages in the magazines, of Shim Gung, the spirit of Tae Kwon Do, the spirit of this, the spirit of that and he was really one of the highest Koreans of Tae Kwon Do. Like I said, he lived with me for 9 months, and once he had a student visa, then he wanted to get out of the YMCA, so he could have a storefront studio. He opened up the first storefront studio and then after that, he really changed. He moved out and from that time on, it was attack, attack, attack. Discredit, discredit, discredit. Me personally and anybody else because he wanted to be “king” of Tae Kwon Do and run all the karate throughout the Detroit metropolitan area. SS: What happened with the school at the YMCA? RH: That was interesting. I was young and I was always like from the streets. The harder you made it, the more I liked it. When he was ready to make his move, our classes started getting harder, physically harder. Physically more demanding. So much that if during any one class, at least two or three people did not drop out of the class, to throw up or just physically strained, he would think that it was a good class. Now of course being young and naive, I am not leaving, I’m just going. I remember one particular time, he had me doing multiple free fighting. He had me fighting three opponents. You know in multiple fighting, 30 seconds, may be a minute, I was fighting three guys for I would say four to five minutes with continuous attacking. I was so exhausted I would have my back leaning against the wall for support and I would see the punches and kicks coming in and I could not even lift up my arms and that was a typical type class. What I didn’t know, because he knew I would always to the mirror room, because that was my habit, after class, whatever I learned I went to that room. He was going to all the students that were saying “I can’t do this, I got a wife, I got kids, I got to work,” and he would say “Gee, that is because we are at the YMCA. I have my studio, it is only five miles from here.” He took my club of 115 students down to about 30 students. It was intentional attrition by burnout that was his nature. SS: What did you do after that? RH: Of course he started the Tae Kwon Do and Mr. Drulliard recuperated, he was never a federation man. It was probably 1964, I knew he was better. All the time I taught at the Y they would charge a fee, part of the fee would go to the instructor. All the time I taught, in my mind I was just cheering the club on for Mr. Drulliard. It wasn’t my club, I was just taking care of business. Things got to the point of 1964-1965 that financially, when I was working at the assembly line at Ford Motor Company, I was bartending and bouncing at night, and still taught the two classes and of course I had the wife and the children, finances got tight to where I needed either to cut back, especially like on all the bar work. One, because it wasn’t a good way of making a living and two, I was exhausted. I knew Mr. Drulliard was well again, so I went over to his house, this was in November and asked him. Mr. Drulliard, “When are you coming back?” He said “I am not coming back.”. He can’t burn out again from the bad experiences that he had with Master Shim. I said all I have been doing is running for the last few years, running the club for you. He says that’s ok, but I am not coming back. I said all the money that was ever paid through the time of his illness; I just put it in the bank. I didn’t think that was my money. So I said to him, “Well I’ve got a little bit less than $1,000 and it is in the bank, thinking that it belongs to you.” and of course he is a beautiful person, he said, no, no that is yours. Again, in my mind, up to that point, I was just covering for him. Well I can’t live with that money. I happen to have it in my pocket. I just gave it to him and from that point on I considered myself the instructor. SS: Was there anything else in your training, major changes that affected you, such as illness, or you had to stop training for a chunk of time? RH: No. I had my first major injury was in the late 1980’s, where I was hit by a car and my knee was hurt, but I never stopped training. SS: During the early years, what was it like to be in a tournament? RH: Dangerous. My first tournament I was a first-degree black belt. The first tournament was in Toronto, Canada. There was no age difference, or size difference, or rank difference. You could have been a green belt fighting a 3rd degree black belt. I was a 1st degree black belt. I remember my very first match. I went out on the floor and back then, what they called the point, if you knocked him hard enough to knock him down, you got a point. If he couldn’t get up, he was disqualified. That is just the way it was. In the martial arts, the history of martial arts in the peacetime was called “flowering of the arts”, because you could work more the culture and essence. During wartime, the training was not in the artistic direction, it was in survival. Korea was occupied by Japan for over 35 years. The Koreans back then, they took martial arts to survive. It was what you would call “Navy SEAL” training, blood and guts and that is just the way it was. All the other martial arts pretty much had the same nature. It wasn’t competitions back then, even in the United States, it was dangerous, you had to knock the guy down and hurt them, otherwise you would not get scored. If they knocked you down, you got disqualified. It was just a matter of survival. I remember I was in Chicago for a tournament, we were in a big auditorium, I heard this distinct sound of bones breaking, and all the way across this gymnasium, I see this guy jump up and do a jump round kick, I don’t know his style or anything about him, it was full contact and noise I heard was the guy’s jaw breaking. He was disqualified because he couldn’t get back in. I had a student there, and again these are just coincidences, the guy was the smallest guy there, he only stood maybe 5 foot maybe 110 pounds soaking wet. In his first match he was fighting a guy 6 foot 4 300 pounds. I will never forget the guy he was fighting, he was Okinawan style. It was full contact. Okinawan stylists, they never kicked above the belt. The Japanese /Okinawans, all their kicks were from the groin down, they didn’t learn high kicking until the Koreans started teaching. My particular student was kicked in the groin so hard, picked him up off the floor and he landed, and when we were driving home, his testicles swelled up to where it was almost the size of a football, but he lost the match because he was disqualified, cause he couldn’t fight. That was an average tournament. That was the way it was. 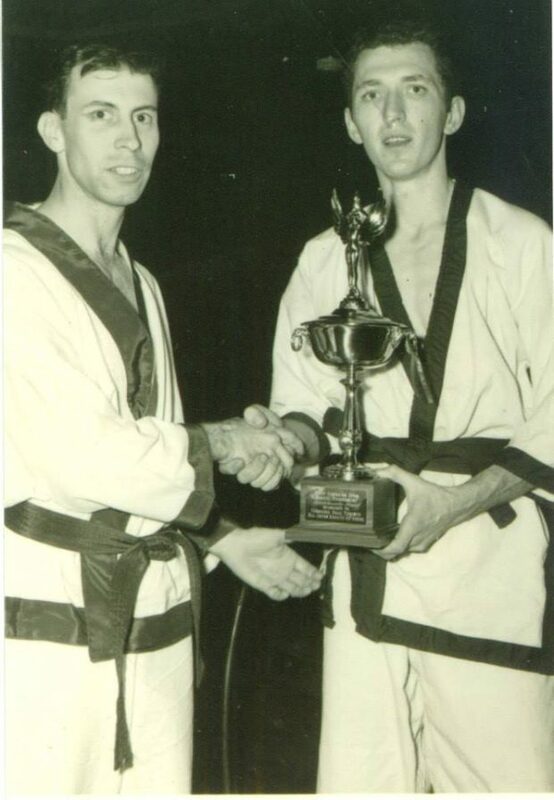 At 1962 Master Dale Druillard Master Russ Hanke 1st Tournament in Torornto, Canada Master Hanke was a 1st Dan and won a 3rd place in sparing . SS: Did people back then, when they were in tournaments favor hand techniques or foot techniques? RH: Until the Koreans entered the picture, it was all hand techniques. Okinawans used all hand and no kicks above the belt, and Japanese, same way. Back then it was mostly the Moo Duk Kwan Koreans, you had on the tournament circuit. Chuck Norris, all the major players that were in the national circuit, most of them came from the Korean background. What made them so devastating was that no one knew how to fight with feet. Back then; the Koreans did not know how to fight with their hands. The hands were part of the culture. The legs are stronger, but if you’ve got a busted toe or a shin, that was no problem. If I lost my hands, then I could not do my work, I could not farm. The Korean culture or style back then was probably 90-95% foot, in all other styles; there were about 95% hands. The Koreans dominated the tournament circle. I am trying to think of the one guy, super foot Wallace, and Fred Raymond, all these names; they were all from a Korean stylist. Then the Okinawan/ Japanese started mimicking us and of course we were becoming more proficient with our hands. Through the years I’ve made the change. SS: Anything else about tournaments you think people might like to know? RH: Just like anything else, in the beginning it was blood and guts and how much you could take and how much you could give. I’m glad for the experience, because it made me tough, but it was completely a very dangerous, a very detrimental thing. A lot of lives were ruined from injuries and such. SS: What were people’s attitudes towards the martial arts? Just the general population. RH: To the general population, it was mysterious. 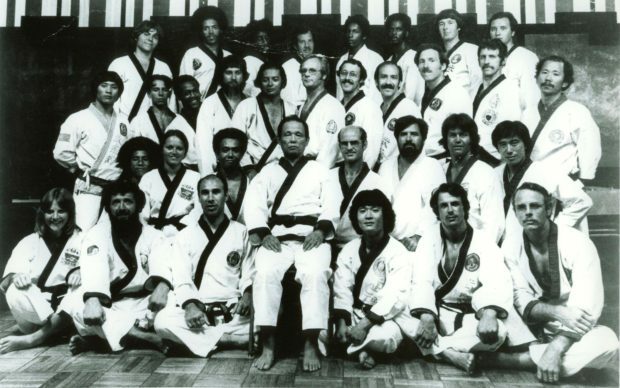 If you were known as a black belt back then, in the neighborhoods or anywhere, people were in awe, mystified, and scared to death of you, because it was of the unknown. Now, you can be an 8 or 9th Dan, people say you’re only an 8th or 9th Dan because it is just the nature of man, especially Americans. You’ve got more Grand Masters now then ever before, they don’t know anything, they don’t do anything they just decided I’m going to open up my own school, have my own style and now I’m a Grand Master, you know a lot of “our people” that have done that. Names, I won’t even bring up. SS: When you were training in the martial arts, what were your ambitions? RH: To be the best martial artist I could. As a fighter back then, for me it was perfection of technique, which was from what I had from my basics from Mr. Drulliard. I was always motivated to learn “the mysticism, the secret powers”, we know it now as ki. We can now explain what it is. Back then, it was this mystical power, you know if one finger touches a piece of wood and I remember reading stories about Master Ueshiba, who was the founder of Aikido. By just a scream you could knock a bird out of a tree. When Master Ueshiba demonstrated in Japan, the army was kind of wanting to know what this aikido stuff was. Master Ueshiba, again was a very small man, very thin man. So the demonstration was that Ueshiba did was that he said give me 10 of your mps (military police) but please make sure that they have some kind of a background in falling techniques, like judo or something. The army, as the story goes, they had two rows of five along the room. Master Ueshiba said what I am going to demonstrate is, I am going to walk in here out that door and as I do that, your people are free to try and stop me. He literally, like taking a casual walk, as the story goes, walked through as these big guys came in. He walked to the other door and turned around, he asked, “Any questions?” So the army was convinced that martial arts was something more than just physical because he was a very small man. The same story goes with Master Funakoshi. He was an Okinawan. He was probably smaller than me. Of course that was during the Japanese occupation. If you lived in Japan, Japanese hated everybody other than Japanese. The Koreans were the garlic eaters and they were hated. If you know anything about the Japanese occupation, you knew how they treated them. Back then anyone other than Asians were just trash. So when Master Funakoshi went to Japan, to teach them karate, because there was no such thing as karate in Japan back then. When he went, as small as he was, he was taking on the judo experts, the jujitsu experts, and the sumo champions, and that is why Japan adopted karate, because this little skinny runt went in and beat their best, we are not talking tournament, we are talking “best fighters”. They were so impressed with Okinawan karate. That was how karate was introduced to Japan. Japan’s history in karate wasn’t before then. It was those kind of stories, it’s like these guys were smaller then me taking on guys that I would never dream of fighting you know, we are talking fighting, not tournaments. I knew there was some kind of a power or something they were doing and that has always been my prime motivation. That is why I took Moo Pahl Dan Khum like I did. In 1984 when the late Grand Master first introduced it, it was ah, here is the key to the door. It wasn’t a matter of super power, it was just the knowledge and experience, so that was my specialty. I was never a gifted martial artist. Some people are flexible, some take to fighting naturally, the only thing I had going for me was my tenacity because I was small. I was never a gymnast, I could never kick above my knee until who knows when, and everything I could do, is because I was in that mirror room, and when I wasn’t in the mirror room, I would be out 4 o’clock in the morning, kicking at trees, and training, it was just “blood and guts”. SS: Dan testing. When and where was your Cho Dan Test? RH: That’s an embarrassment, but I will share it with you, to let you know how it was. This was a time when Sang Kyu Shim was here for the first time, on that three-month visa. When I started there were four gentlemen that were green belts. These gentlemen were always my seniors and so I went from white belt then to green belt, 6th and 5th, I don’t even think I did the 4th, and then made red belt. I wasn’t a red belt more than a matter of months. This whole time from my beginning to my first Dan is only 1 year. That was because Sang Kyu Shim wanted a lot of black belts so that they would open a lot of schools. I wasn’t a red belt more than 2 or 3 months and he needed black belts, so I was promoted to black belt. SS: Did you have to do anything? RH: Basically we would go out and do a form. No formal test. He just wanted black belts. It was one of the reasons I broke away from him. Because he explained to me his philosophy in why people made black belt. It left a stigma in me. I was always embarrassed that within a year I made black belt. I knew in my mind and heart I didn’t know anything. Because of that it took me a year or two before I actually felt comfortable wearing the blue belt. Because I was the head instructor at the time, as the instructor at the time, my students’ testings were so hard. You not only had to do everything, like we do now, it is an endurance thing, that you do every basic motion, every form, every kick. You had to do the three steps. We had to fight one person, you had to fight two persons, you had to fight three persons and by then you were usually physically and emotionally exhausted and then you did Kyok Pa. You had to do every kick breakings, side kicks, round kicks, pivot kicks, every kick you had to break.. With the hand techniques upper body, you had to break with the soo do, you had to break with the front kicks, you had to break with backfist. My tests were so severe; one of my students back then his father came and watched the testing. After the testing, his name was Rich Howard, he said his father was ready to come out of the audience and kill me. That was how hard the test was. When you made your black belt, or your 2nd Dan, you are going to know you are at least 6 months overdue, because I didn’t want to put the stigma I had because of the early promotion. Actually, the reality in Korea that is the way it was. Mr. Drulliard was only in Korea for a little better than 2 years from a white belt to a 2nd Dan. That was again, you would have to understand it was then the Korean war, at the end of the Korean war, and just like any other nations, all the Koreans knew was that the U.S. was the land of good and plenty, they would be working with all these American soldiers, so this is in all of them. They weren’t interested in quality, they weren’t interested in anything but making them black belts so that the Americans could sponsor Korean solders in the United States so that they could be be rich in things? Promotions was not even a political tool, it was economic. That was in the mid 1960s. SS: What happened with E Dan testing and Sam Dan testing? Who was involved with that? RH: I tested for my 1st and 2nd Dan under Master Shim. 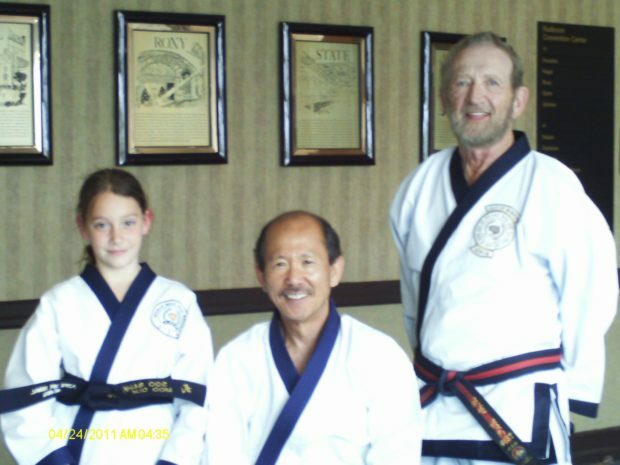 For the 3rd Dan test there was no one local, so I drove out to Maryland with a Master Lee, who was supposed to be Moo Duk Kwan. Again, he was one of those typical blends. When I went there, competed in this tournament, gave them the money and got my 3rd Dan. SS: Do you recall how old you were then? RH: 21 at 1st Dan, 23 at 2nd, 25 or 26 at 3rd Dan. Mr. Drulliard started teaching again actively in 1967 and so I still had a rapport with him, but Mr. Drulliard wanted nothing to do with the beginning of the Federation. His nature again, all he wanted to do is teach Tang Soo Do. Even to this date. I tested under him then, it was basically before 1974, so the Federation wasn’t born. So I tested for my 4th Dan under Jae Joon Kim. He did the promotion. Mr. Drulliard married a Korean woman. One of her relations is this Master Lee, that is now running one of the world federations and one of the biggest . I think Mr. Drulliard is caught up in family. All he is hearing about the Grand Master and the Grand Master’s son is all this ugliness that these Koreans are throwing at him. So I tested actually with his wife, we both tested for 4th Dan. SS: What was that like? RH: You just had to go out and do the two required forms. Mr. Drulliard didn’t know that there was a time requirement so he sent the promotions to the Late Grand Master and it was difficult back then. Maybe 3 or 5 months before you got the results from Korea. I remember him calling me one day and not sounding too happy, so we met at a restaurant. He said when are the promotions coming in? His wife was testing for 3rd Dan. He said my promotion did not come through. I said I don’t know why, because back then you didn’t question. I didn’t know why, and he couldn’t give me an answer. So about 6 months later he gets my promotion, with no correspondence. What it was because I was 6 months short of the time element for my 4th Dan, again nothing was explained, and so after that time period was over, then the Late Grand Master sent my promotion for 4th Dan. SS: So your Dan number was always registered then? SS: When did it happen that you started to be under the Grand Master. RH: I was always under the Grand Master, I thought. RH: I never met the man until 1972. But again, there was this connection, spiritual. I just always knew that this was the way. He was the way. Again, there was no communications. The communication for that was from Koreans that were here, and later were lying, lying to the people and caused a lot of problems. It took a lot of years to work that out. From the beginning of the 1960’s on I was fortunate enough to have Mr. Drulliard until 1962. When he left and Sang Kyu Shim left I was kind of left on my own. This would be the history of just about all of them. Again we continued training and learning things we would start what is known as cross training. I made affiliations with someone that was teaching judo. I tried judo and we had a very good relationship with them. I got into aikido, had a good relationship with them. Kendo, good relationships with them. Basically in my area, we had some Japanese stylists in Isshinryu which is an Okinawan style. We would do things like I would visit their studio with my students and we would line up all his students in one room and all my students on the other and then would just get together and we would spar, just for the experience and that is how the Okinawans and Japanese started learning kicking and that is how we started. Mr. Drulliard is becoming active again, he sponsored over Jae Joon Kim, Dan Bon number 38, who was in the Detroit area. I looked to him to be an instructor, but I couldn’t connect. There was something missing. Master C. I. Kim, probably the most deadly, proficient fighter in Tang Soo Do, he had the reputation, and it was the real thing. Every Korean that ever came over was a national champion. In Korea he would walk into a situation, it is almost like being the God father. If anybody had problems they would see him and he would walk in and it could be anybody, and they would back away because that is how awesome Master C. I. Kim was. So he was teaching in the Detroit area. I tried to train under him, again there was something missing, I couldn’t connect. So in 10 years I did a lot of cross training. I was never interested in rank but like in judo I wanted to learn how to throw and fall. In aikido I wanted to learn the rollingl and falls and joint grips. I wasn’t interested enough in training in these arts like a regular student. I was getting together with the instructors because we were all 2nd Dan and I was like the stylist and artist and back then it wasn’t so bad, as far as relationships. We were all friends. We would all get together, all of us instructors, all these styles, a couple times a month and we might be doing some jujitsu, this or that and we really had a nice thing, before everything started to be a competition everything. I tried Jae Joon Kim as an instructor. Although as fighter, or whatever you would want to call it, with all my cross-training, that was growing, but again, there is an emptiness, because I didn’t have an instructor and I wasn’t learning the Moo Do, of which I know now. But back then I did not know, especially Moo Do Shim Gung. I wasn’t disheartened, but was never happy. All these other arts, they all have their beauty and their quality and their proficiencies and whatever, but it really wasn’t fulfilling to me, and I wasn’t interested in other than learning the basic fundamentals, so that I could be a better fighter in case I ever went up against one of these guys. SS: Where did he live? SS: Ohh…and how it came full circle. Perfect. SS: Can I just go back and ask you about your Sa Dan Testing? The Sa Dan Testing was under ________________. I just went to his studio and I did one or two forms and that was it. The O Dan was the first one. The first testing under the Kwan Jang Nim.. Again, back then we all got up to about 4th Dans, one way or another. I am talking about the “old timers”. The Ko Dan Ja Shim Sha experience started, I don’t even know what year. Maybe the late 1970s or something. We would have to check the date when the first one happened. Even in Korea, once you made 4th Dan, you never had to test again. Your 4th Dan six years later, you were a 6th Dan. For those even our senior Koreans, there was no such thing as testing after you made 4th Dan. Being that I was at all of the Ko Dan Ja experiences and when my time was up, to me it was just another Ko Dan Ja thing, I’m there. All of a sudden it became required to physically attend Ko Dan Ja for your 6th and 5th Dan. Of course 6th Dan come rolling around and I am at them all. I got my promotion and then all Ko Dan Ja had to physically test, not for your 6th Dan. (1:22:06). 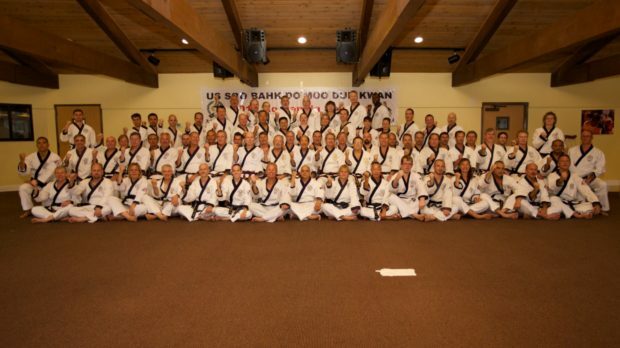 SS: What offices you held in the Moo Duk Kwan? You were a charter member? SS: Any especially challenging times when you were in any of those offices? RH: In the old days the Board of Directors was always challenging, because that’s is when we had a Board of 30 members, and a lot of them were Koreans, and they were all these people that eventually are gone. The Board of Directors meeting wasn’t a one hour conference on the phone once a month, or 2 or 3 hours in the afternoon. It was 14 hours on Saturday, things would get so heated, and I was caught up in one with a Master Lee from California, where they would be lying, doing things that we would literally be ready to go across a table and tear each others heads off. Then we would go back Sunday, for another 7 or 8 hours just to try to accomplish something. It was horrendous. SS: Where were they held? SS: What was your best time in the Moo Duk Kwan? Just being here and seeing the fruits and being able to be with the Kwan Jang Nim and his wife and the family, and see all of our children. I am living in heaven. SS: How about do you have a treasured item from your training? SS: I remember you liked Phoenecia. SS: When you first saw our founder, or met him what was your impression of him? RH: The late Grand Master? SS: Do you have a favorite story about you and our Founder or any time you spent with him? SS: Besides our Founder and our current Kwan Jang Nim, if you had to choose a memorable person out of all the people you have met who would you pick and why? SS: What is your favorite area to teach? SS: As a senior, what do you feel the most important thing a senior can contribute to the juniors? SS: If you were going to give advise to a practitioner, what would be the best advice you would give them? RH: If they are children they would be white belts. SS: Just a kind of final question. What would you like people to know about you or how would you like to be remembered?